Freddie Mercury was a man of his words. He said he would rock you and that’s exactly what he did. He was known for his immense vocal talents as well as his flamboyant stage presence. He was the leader of the British band Queen,and he died in 1991. So many questions remain unanswered after his death,but there are hidden secrets of this famous queen singer that remain hidden,but today we reveal them. Let’s take a closer look at this legend and see the legacy he left behind. His real name is Farrokh Bulsara, and is of Indian origin with Parsian (Iranian) roots, who believed in the Zoroastrian religion (his last rites were also done by Zoroastrian priests). He was born in the west African country of Zanzibar (present day Kenya) and his parents came to UK as refugees in 1964, when a huge civil war broke out in Zanzibar, where many Arabs and Indians were butchered by various African clans. Freddie also has a younger sister and lived in India for the first 12 years of his life. 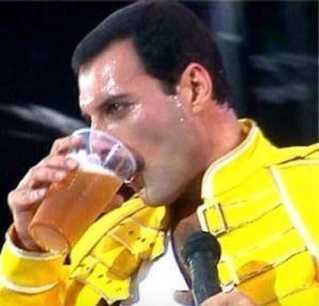 Freddie was gay,and he never revealed it to his family. He also had many gay partners including Jim Hutton,his husband. 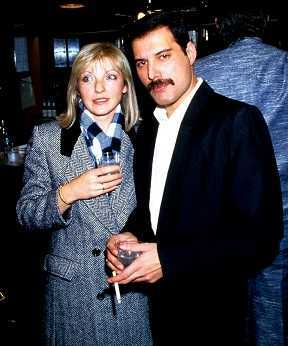 However, he had lots of love for his pre-fame girlfriend Mary Austin who was his first love. Everyone knew Freddie was ill,but no one knew precisely where. Freddie had AIDS and used to take supplements to keep him going. He never discussed these issues with his family and he viewed this as a way of protecting them should anything happen to him. Being his first love, Mary went through a lot for Freddie. When he became ill, he never shared the details of his illness with anyone else but her. She stayed close to him to care for him all through the seven years he was sick with AIDS, and they kept his disease a secret all along. She smuggled medical supplies into his house in record boxes and sleeves. After he became so weak, he could not get out of bed, and he began to lose his sight. This was the time Freddie decided to end it all. He one day decided enough was enough and decided to let go. He stopped taking his supplements and looked death in the face. 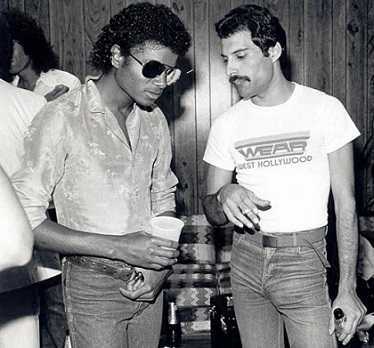 Freddie was scheduled to record a song with Michael Jackson,but it proved to be an exhausting affair for both of them. They each had issues with one another,and it ended up never happening. Freddie was uncomfortable working with Bubbles Jackson’s pet chimp while Jackson had a problem with Freddie’s drug use. They, however, recorded different songs later with Llama another of Jackson’s pets interrupting the sessions. Queen the band became so famous and Freddie the singer became close friends with Lady Diana Spencer the People’s Princess at the time. He dressed her in an outfit that Everett was supposed to wear, dark aviator glasses, leather cap and an army jacket. The disguise worked,and she attended a gay party in London notoriously known for fights at the time. Freddie used to call his cats while he was away on tour. Who does that? Imagine a cat meowing on the phone trying to strike a conversation with a human. 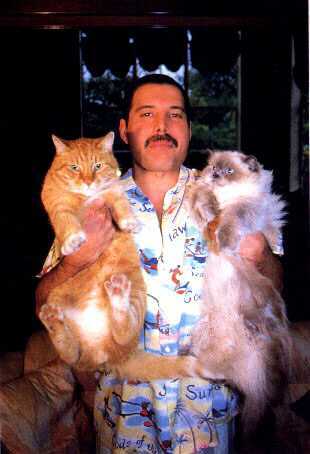 To showcase his love for cats, Freddie even wrote a song for one of the cats. 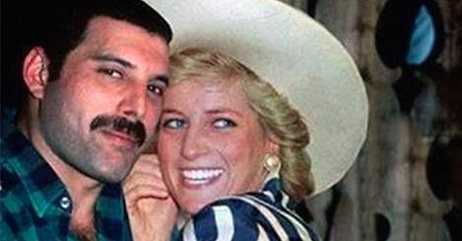 Before he died, Freddie requested that his final resting place remain a mystery. He made tentative arrangements for his burial,and on one Sunday, he announced that he knows exactly where he wants to be buried but no one should know. The reason for this he said he wanted to rest in peace and not to be dug by anyone. But Freddie was cremated though the location of his ashes is a mystery up to now. Not sure about anyone else but personally, being mentioned in a suicide note is freaking scary. 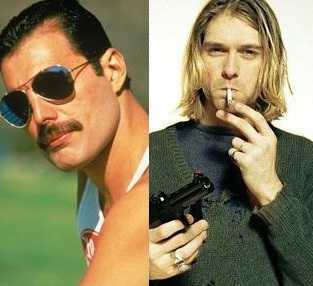 However, Freddie Mercury was mentioned by Kurt Cobain in his suicide note citing how he admired Freddie and his abilities. 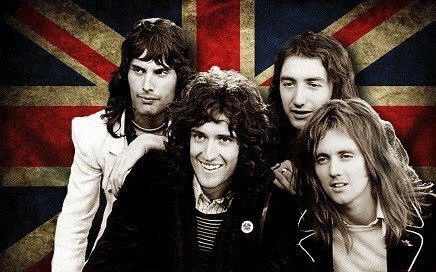 Rumor has it that Freddie was very unconfident about his teeth and would instead try to hide them. He, however, refused to have anything done about them fearing it might change his unique voice. His talent was his voice,and he could not risk doing anything to jeopardize that. Freddie was a brave man. He continued drinking even when he was very ill. He knew he was dying and told his Queen counterparts to write music and he could sing when he was still alive. He used to take vodka before singing,and it would give him the energy to sing the songs. Despite no one knowing about his sexuality, he was close to his pre-fame girlfriend Mary Austin who stuck with him until his last breath. Before he died, he included her in his will and he left her most of his money, his recording royalties,and his house. There was one time he was out at a restaurant with Brian a friend and bandmate and a lady asked her for his autograph. He told her he didn’t have the time! Rude or impatient? This might be known but the reason why Freddie did it was a secret. Peter almost discovered that Freddie had HIV AIDS and Freddie decided to cut him out of his life completely. The band was fed up with each other,and they broke up only to regroup after Freddie’s illness.